CAUTION: Do not allow your dog near the water, as it has been recently contaminated with toxic algae. 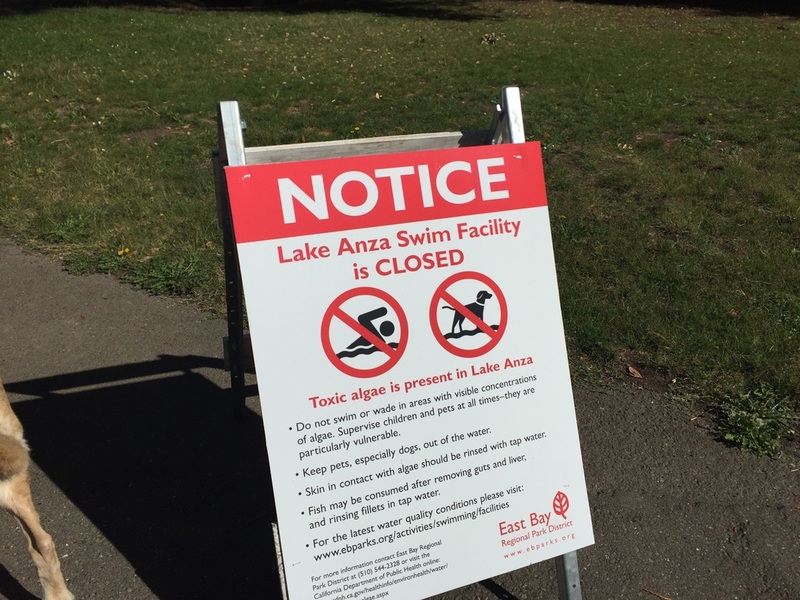 As of April 2016, there are no longer signs at the lake warning of toxic algae. 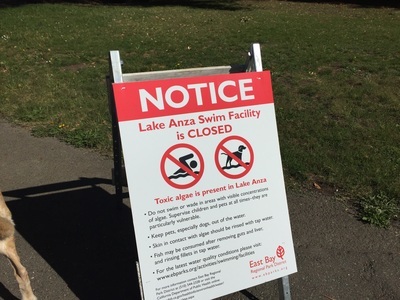 The EBParks website says the lake is scheduled to re-open this month. 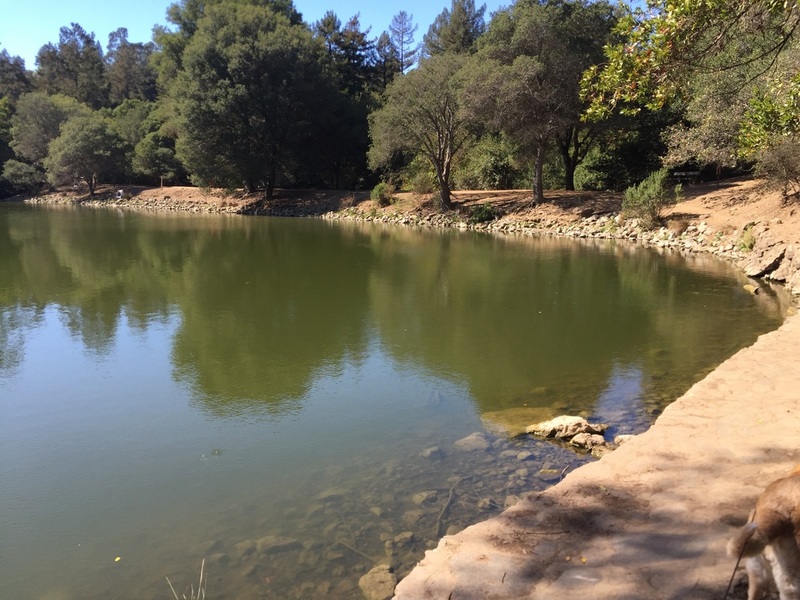 I have reached out to EBParks to confirm if the water tests have concluded that the water is safe. 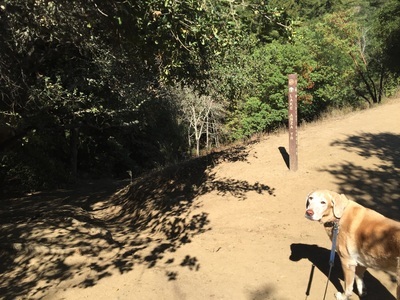 An update will be posted as soon as I hear back. 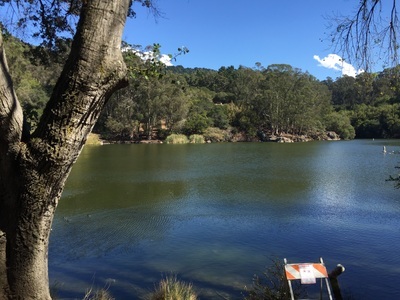 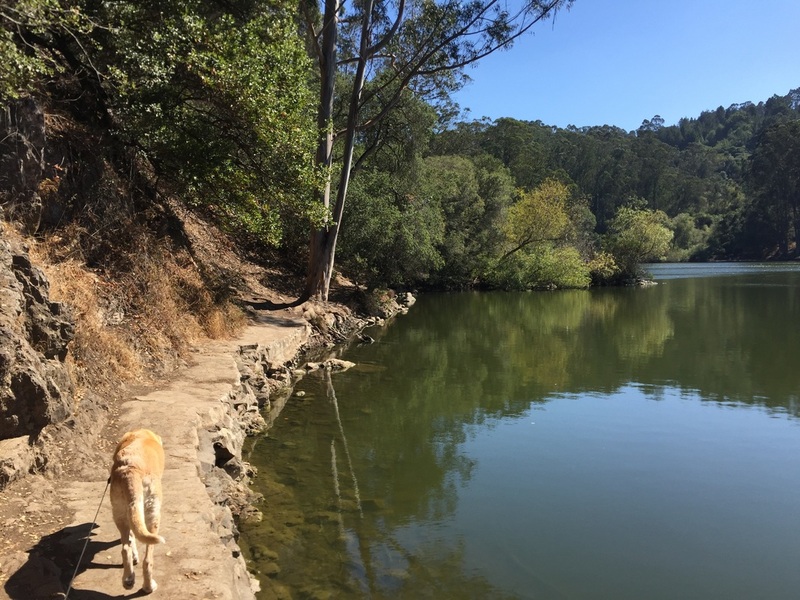 Description: Lake Anza is part of Tilden park, but this page is just about Lake Anza. 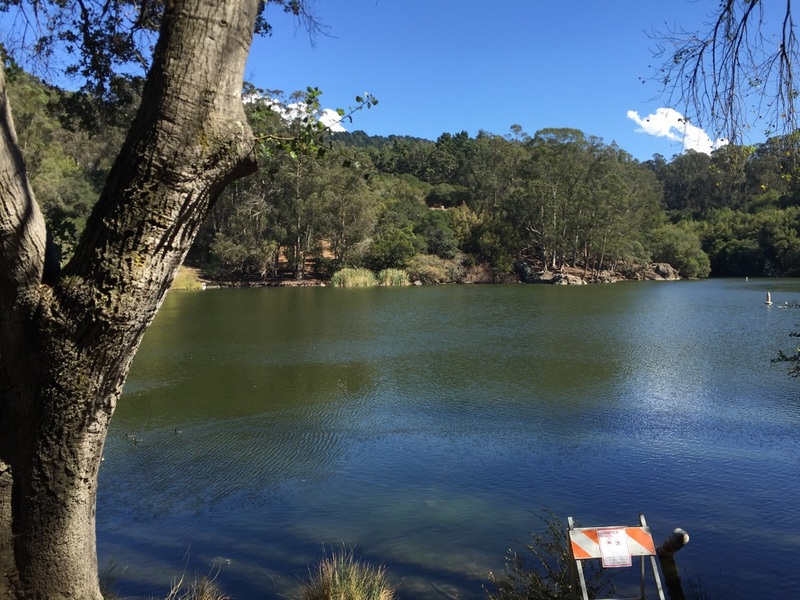 Check out the TIlden page for more info on the surrounding area. 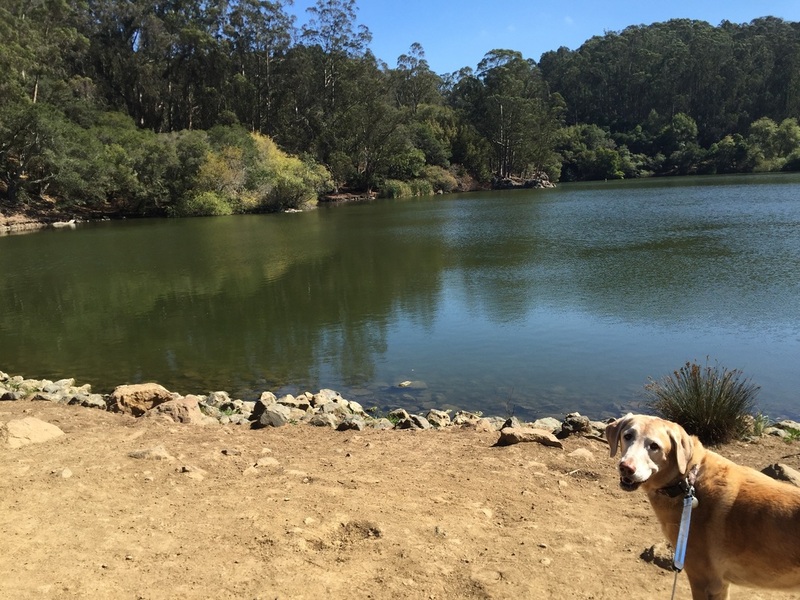 It's unfortunate that this lake has become contaminated with toxic algae, like so many of the other bodies of water in the bay area, but the plus side is that this park is no longer crowded. 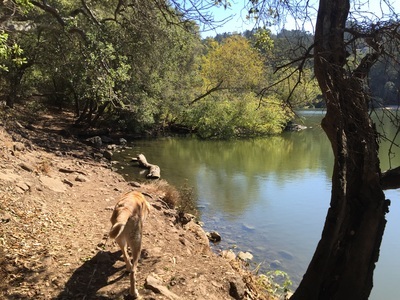 You can still enjoy a beautiful walk around the water, on a mostly shaded, mostly flat trail. There are plenty of nearby grassy areas and benches available for you to enjoy the view. 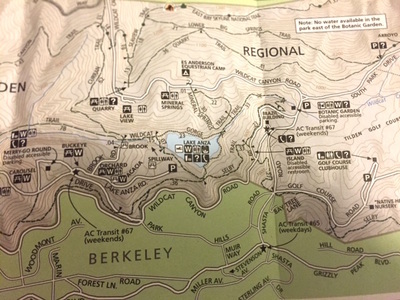 If you're up for more of a challenge, you can take one of several hiking trails in Tilden Park. 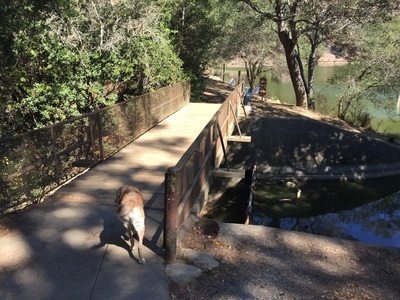 The first trailhead that you will encounter after crossing the bridge is Wildcat Gorge Trail, which leads to a waterfall (spillway) and you will encounter two more trailheads during your walk along the lake. Click the link below to view more info on the trails in Tilden Park. Hopefully this lake will soon be open again for swimming, as it used to be dog-friendly and my dog enjoyed many summers swimming and playing ball in the lake. 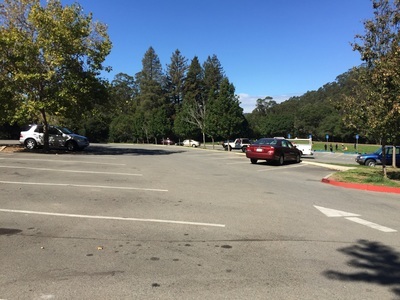 This park has clean restrooms and running water available.